Great for keeping the deer out of your vineyards and orchards! This gate series measures 72" tall and can be built up to 16' long and is made from a 1-7/8" 15 gauge domestic tubing. 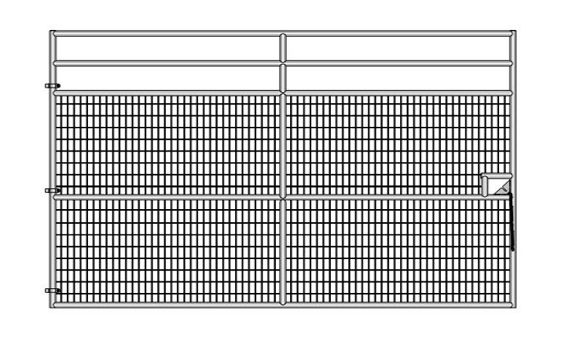 The 2" x 4" mesh covers 62" of the gate height and is welded at every point that touches the perimeter of the frame. The optional heavy duty hinges are reccomended for this gate. This gate series measures 82" tall and can be built up to 16' long and is made from a 1-7/8" 15 gauge domestic tubing. 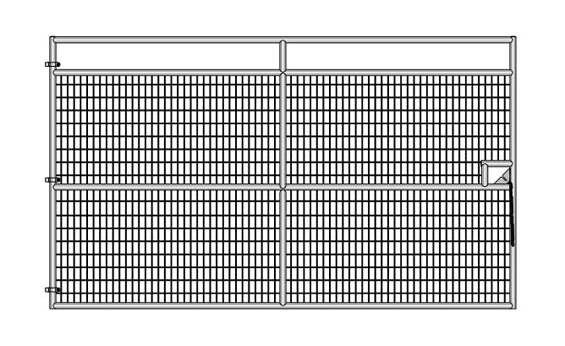 The 2" x 4" mesh covers 62" of the gate height and is welded at every point that touches the perimeter of the frame. The optional heavy duty hinges are reccomended for this gate. This gate series measures 92" tall and can be built up to 16' long and is made from a 1-7/8" 15 gauge domestic tubing. 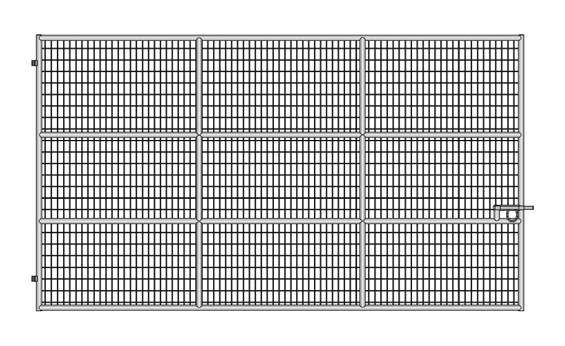 The 2" x 4" mesh covers the entire frame of the gate and is welded at every point that touches the perimeter of the frame. The optional heavy duty hinges are reccomended for this gate.